Last night was a historic one for Hofstra! 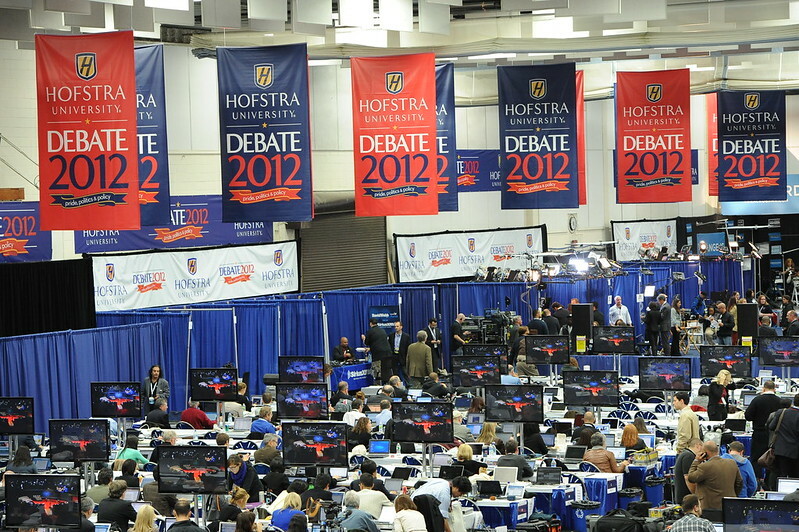 The second debate of the 2012 presidential election was held in the David S. Mack Sports and Exhibition complex, normally where the Hofstra Pride men and women's basketball games are played. It was a magical night for anyone connected to Hofstra: students, faculty, staff, alumni and the community at large. Over the course of the next few days, we will be posting pictures and videos from the day's festivities. We will have video reaction from a few pride guides who were picked to attend the Debate in a ticket lottery, which was only open to full time students. 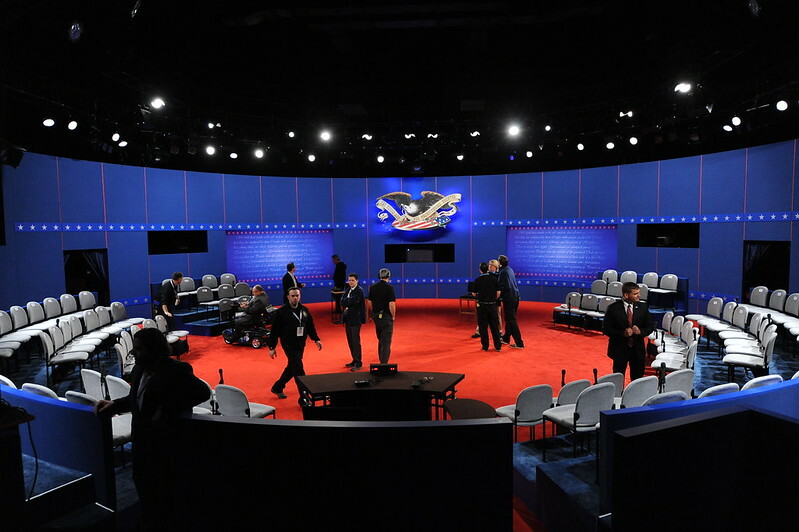 Let's start off the Debate 2012 blog series with photos of the Debate site itself and the rooms around it. Ashley Melfi, '13, was live-blogging all the action. 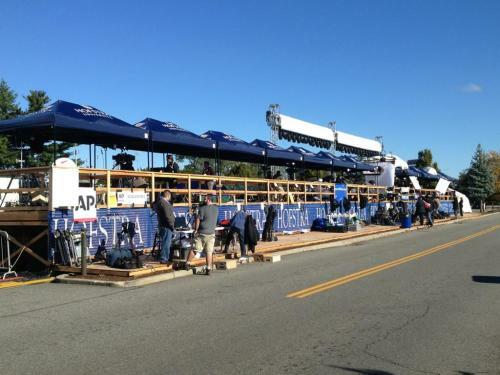 Below are photos she posted on the Hofstra Debate 2012 Tumblr, I highly suggest checking it out! 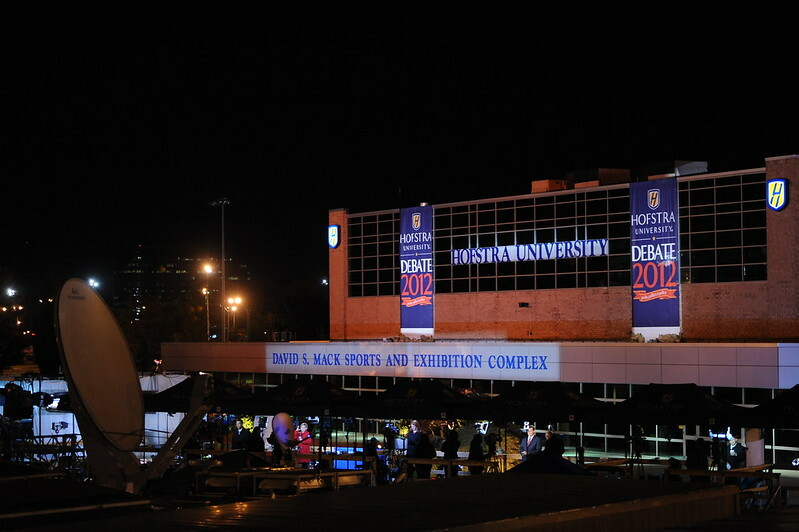 The David S. Mack Sports and Exhibition Complex, all decked out in Debate 12 decor! 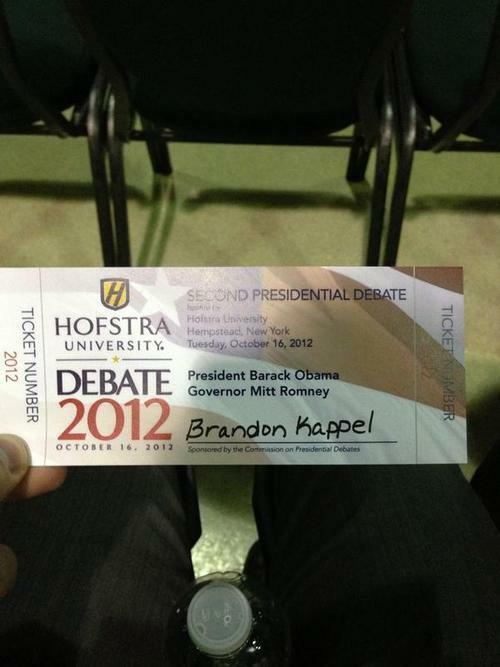 The "golden ticket" to the Debate Hall.